Info In 1981 John H. Cox founded a law firm specializing in corporate law and tax planning named John H. Cox and Associates Ltd. In addition in 1985 he founded Cox Financial Group Ltd. which specializes in investment counseling, income tax planning, retirement planning and asset protection, in 1995 he founded Equity Property Management a real estate management firm specializing in apartment rental property. In 2002 John Cox ran as a Republican for U.S. Senate in Illinois on a conservative platform alligning himself with "Reagan Republicans". Cox finished third in the Republican primary with 23%; losing to Jim Durkin. In 2004 John Cox ran unsucessfully for Cook County Recorder of Deeds against incumbant Democrat Eugene Moore. Cox said the reason that ran for the office was to eliminate it; he felt that the office of Recorder of Deeds was an unneccesary duplication of services and had become a "model of waste and corruption". In February 2006, John Cox announced he was a candidate for the Republican nomination for President in 2008. 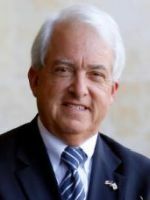 John Cox is running for California Governor to take California back from the special interests that own the politicians in Sacramento. Those special interests, and the politicians they bankroll, have given us the highest income tax as well as the highest poverty rate in the nation. They have wrecked our once-proud school system, driven small business owners to relocate their business and jobs to other states, and utterly failed to build the water storage facilities we need to manage California’s abundant water supplies. John Cox is a graduate of the University of Illinois where he majored in accounting and political science. Cox later recieved his Juris Doctorate from Illinois Institute of Technology / Chicago Kent College of Law. John was born on the near north side of Chicago, he has three daughters who are currently teenagers.